The Indian women's most popular attire, the Saree, is typical of tradition and culture. The Saree is a strip of unstitched cloth, ranging from four to nine yards in length, that is draped over the body in various styles. Worn as daily wear in most parts of India, the Saree is now gaining popularity as a glamorous choice of evening & occasion wear. With a wide range of materials & styles, originating from different states of India, the selection of Sarees to suit your lifestyle could be a daunting task. Here's a brief guide to the much beloved Saree. 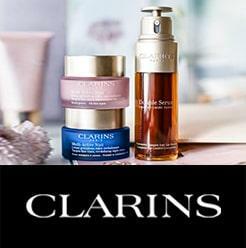 Silk : Silk is a natural fiber, which is most commonly woven into textiles. Because of its shimmering, smooth & soft texture, this expensive fabric is considered one of the most preferred fabrics for occasion & festive wear. 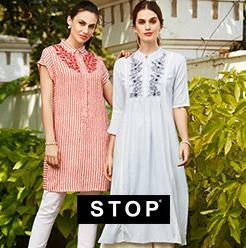 Although silk is the strongest natural fiber, it loses strength when wet & in harsh sunlight. Today, many manufacturers prefer synthetic fibers or blends rather than pure silk to product more affordable & sturdy textiles. In India, silk Sarees are produced in different techniques, indigenous to the State, and are popularly renowned for their special qualities. 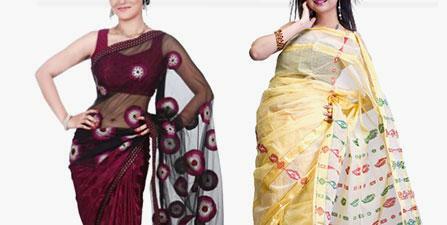 Here's a look at the different types of silk Sarees available. The beauty of Raw Silk is its rough texture as it has shorter fibers. This makes it the fabric more delicate & so it needs better care. It has a naturally dull gold sheen for which it is popular.Tussar Silk, produced in Bhagalpur, Madhya Pradesh, is a popular choice of Raw Silk Sarees. A Saree of West Bengal named after the technique of embroidery used. Kantha is a type of running stitch embroidery used on sarees from raw silk to cotton, covering the entire cloth with beautiful motifs of flowers,animals, birds and geometrical shapes or themes from everyday activities. The stitching on the cloth gives it a slight wrinkled & wavy effect. Made in Varanasi, India, Banarasi Silk Sarees are considered to be among the finest sarees, known for their gold and silver brocade work. Because of the use of fine silk & opulent motifs, which are inspired by intricate Mughal design, these saris are relatively heavy & reserved for special occasions. Originating from Paithan, Maharashtra, this fine silk saree is characterized by borders of square design, and a pallu with a Peacock motif. 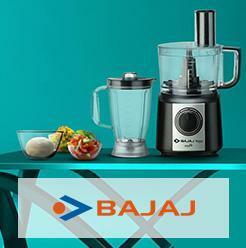 Usually spotted in designs, single colored and multicolored colored designs are very popular. This silk saree made in Patan, Gujarat, is popular due to its special weave,which is a double ikat technique.Patola sarees are also popular for their colorful diversity and geometrical motif shapes. Traditionally made by weavers from Tamil Nadu, the Kanchipuram Saree is considered to be of the highest quality sarees and are woven naturally. Distinguished by its wide contrast borders, this saree is woven with heavy silk or gold yarns and is worn on occasions and festivities. Brasso fabrics have a print effect where motifs are burned out on base fabric to form attractive patterns. 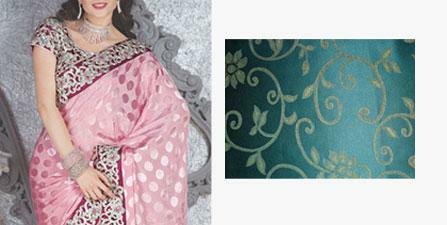 Usually, Velvet Brasso can be found on chiffon, georgette or net bases with designs in multiple colours. The effect is often rich in texture & very attractive-this is why, Brasso Sarees are an eveningwear favourite. Georgette is a sheer, lightweight Crepe fabric originally made from silk ,with highly twisted yarns thus creating its characteristic crinkly surface. 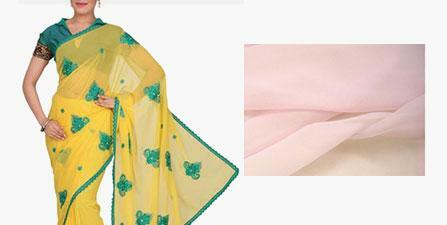 Georgette Sarees are lightweight & are available in an array of prints & dyeing techniques. Chiffon is a very sheer & lightweight silk crepe. The twist in the crepe yarns puckers the fabric slightly in both directions after weaving, giving it some stretch and a slightly rough feel. Artificial silk or Art silk is a synthetic man-made fiber, which resembles silk but costs less to produce. It is a commonly used fiber & sarees made in Art Silk have gained popularity because of its affordable price & great appearance. The specialty of Net fabric is that the weave construction is looped at their intersections, resulting in a fabric with large open spaces between the yarns. 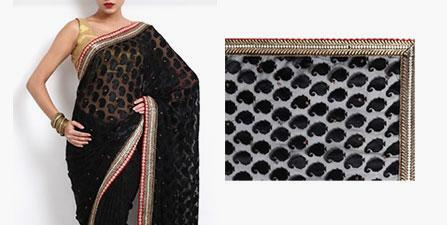 This weave give the Net Saree a fullness & lightness in weight. 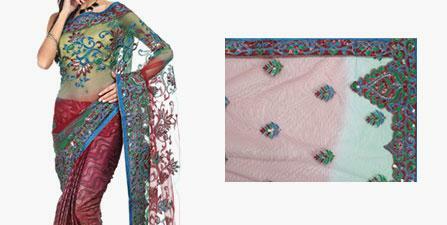 Along with elaborate embroideries & appliques, the delicate Net Saree is often a choice for eveningwear. Crepe is a fabric of a gauzy texture, having a typically crimpy surface. 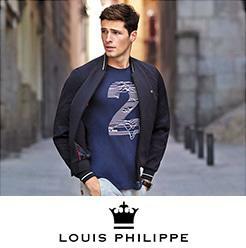 While silk fiber is the popular choice, Crepe fabric is woven from natural or man-made fibers. Surface textures vary from fine, flat crepes to pebbled & mossy effects. Various print & dying techniques are employed on Crepe Sarees. Popular crepes include, Crepe de Chine & Georgette. Jacquard - a highly ornamented material in which the design is incorporated into the weave instead of being printed or dyed on. 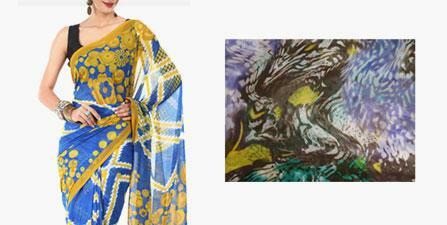 These days, Jacquard sarees are often woven in art silk, with a glossy texture & lightweight body. 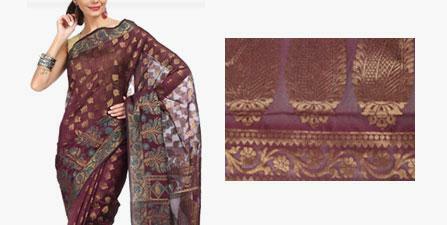 Jacquard is seldom used on its own, often paired with net or velvet in Half and Half sarees. The Half & Half Sarees is usually an eveningwear option, which features two or more fabrics combined to make one saree, used in a cut and sew fashion. 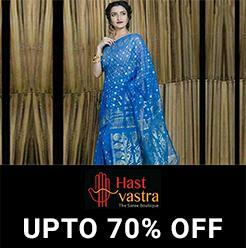 Mostly Net sarees are bordered with silk, velvet, jacquard or brocade. Additional rich embellishments, appliques & zari-work make up this gorgeous saree. Cotton is natural, breathable & extremely durable, thus making sarees in cotton a popular choice for daily use. As cotton accepts many dyes, a variety of print & dyeing techniques are available. Several weaving options are possible due to the strength & versatility of the cotton yarn; this results in beautifully textured sarees, across India. Often used along with or as an alternative to silk, almost each state in India boasts of it's exclusive cotton saree styles. 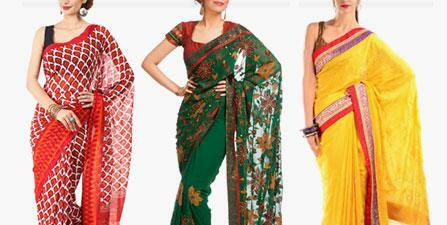 Here are a few well-known varieties of sarees available in cotton. Originating from Madhya Pradesh, this handloom woven silk & cotton saree is a well known for it golden zari borders & pallu. 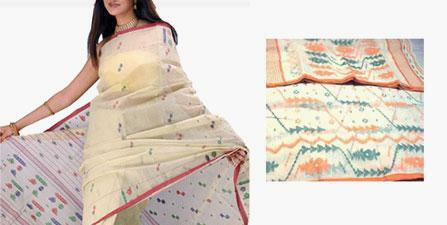 The Maheshwari Saree is also known as the reversible saree & features hand block printed motifs. A traditional saree made with mix of silk and cotton, originating from Chanderi, Madhya Pradesh, Chanderi Sarees are known for their sheer texture, lightweight and a glossy transparency. Originating from Bengal, the Jamdani Saree is a delicate muslin cloth on which decorative motifs are woven on the handloom. 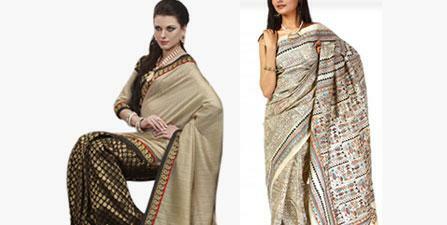 Often a mixture of cotton and gold thread are used against white or grey bases, lending grace & beauty to this saree. 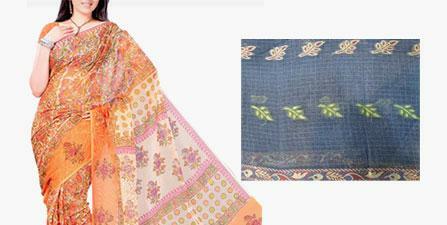 This lightweight saree, popular for it's tiny square shaped weave, is made at Kota, Rajasthan. 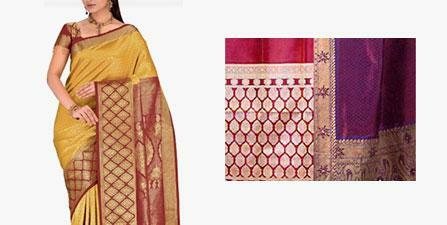 These Sarees are made of pure cotton and silk,usually with additional block printing. Tissue or Lame is a type of fabric woven with thin ribbons of metallic yarns or usually gold or silver. 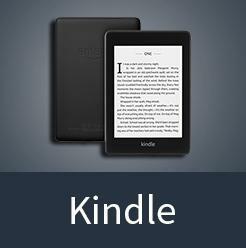 It has a dramatic appearance & slippery texture. Lightweight & shimmering, the tissue saree is often used in evening sarees rather than everyday wear. 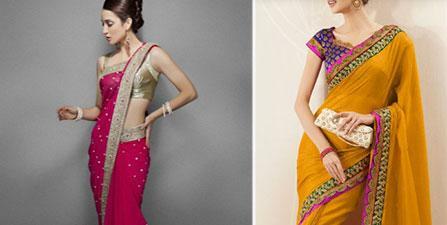 Eveningwear or Occasion Wear Sarees are those that are rich in fabric, embellishment & colour. Besides, the drape of the Eveningwear Saree also plays an important role in defining a sophisticated look-this is why fabrics with excellent fall are also preferred. The popular choices for eveningwear are fine Net Sarees with velvet Brasso prints & heavy borders which include intricate zari embroidery work. Embroidered chiffon, georgette & crepe with embroideries are also a great choice if one is looking for deconstructed & elegant draping styles. For more traditional occasions, opt for the rich Kanchipuram Silk Sarees, which are both vibrant & luxurious due to their sheen, colour & rich gold borders. Similar choices would be the Banarasi, Paithani & Patola Silk Sarees. 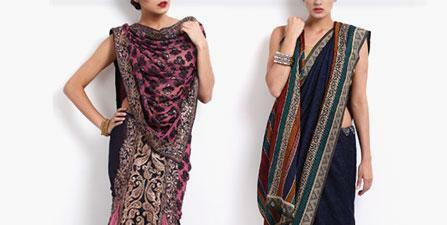 For rich & earthy refinement, opt for beautifully hand embroidered Kantha or ornately printed Bhaglpur Silk sarees. These statement making Raw Silk Sarees are beautiful because of thier unique natural texture. No fuss, cotton sarees are often a great choice for day wear. 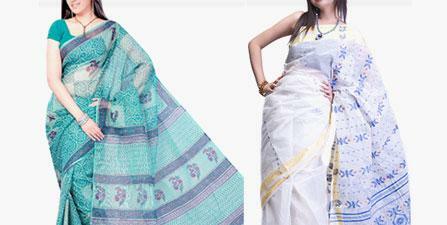 Easy, breathable & lightweight, the cotton saree is gaining popularity in office spaces too. It is a good idea to drape a daywear saree more practically usually neatly pinned pleats are preferred-so as to keep movements easy. Kota & Jamdani sarees are beautiful options that are elegant yet comfortable to wear during the day. Typically available in pastels & pale shades with a hint of zari these make ideal sarees for a brunch meeting. 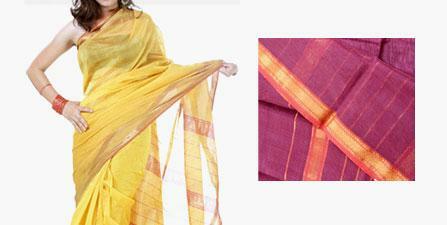 Other lightweight sarees for day are the delicately golden-bordered Maheshwari & Chandheri sarees. The refreshing shades of these sarees, look great during the day & the touch of gold is just the right amount to make an elegant statement. The Contemporary Style is one of the most common styles for draping a saree. It is worn over the left shoulder. 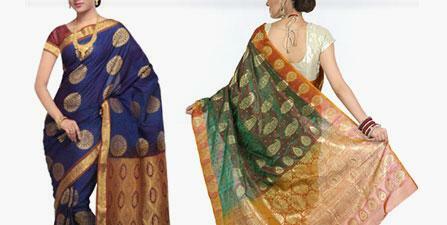 The pallu can either be pinned neatly in place or allowed to drape open along the left arm. Here the Contemporary Style saree is worn over the left shoulder, where the pallu is pinned neatly in place or elaborately style around the left arm. This is a good option to use when the border of the saree is the most elaborate feature. Th Mermaid Saree is draped on occasions like weddings and special events when a stylish & svelte shape is the requirement, as it is a drape that best accentuates curves. The saree is well fitted at the bottom, hence one has to be careful while taking large strides. Sheer & delicate sarees are the best choice for this style of drape. 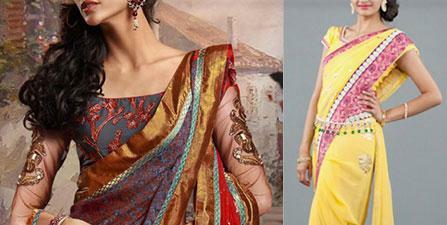 Modern-day drape adaptations of popular regional sarees are Gujarati, Parsi & Bengali. While there are few differences in the basic drape of the saree, the pallu is the most distinctively styled piece of the garment. Dry cleaning is the best option for removal of tough stains. 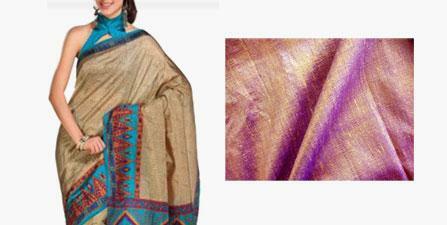 Never twist or wring the silk saree during washing or while rinsing it, as the saree may lose its original shine and can attain permanent wrinkles. Never dry the silk saree in direct sun light. 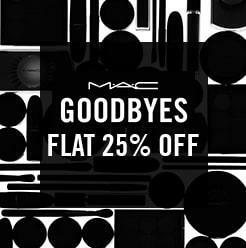 Store separately and wrapped in a muslin cloth or pure cotton cloth, in a dark place to avoid fading and discoloration. It is best to store silk saree in hanging position this way they will not get any crease and would remain wrinkle free for long time. 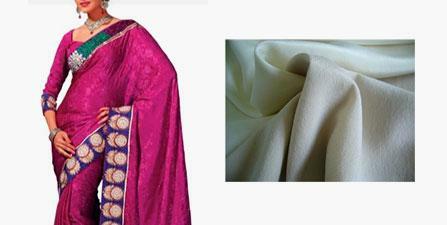 Steam iron is the best option to use while ironing a silk saree to prevent harm to the fiber. Also called a pallu, usually more densely ornamented than the body, is the end piece of the saree. Are small motifs of threadwork against a plain ground, usually put in a regular order. Block print :The blocks are generally hand carved from wood and printed on the cloth in repeating patterns. the sari usually has borders along the top and bottom lengths of the cloth, usually the strongest design element of the saree. 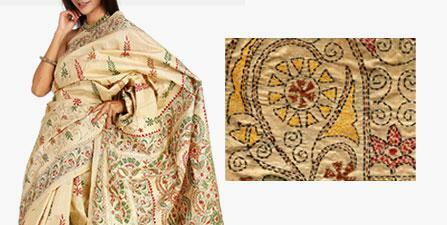 the simple running stitch embroidery originating in Lucknow. The lightweight cloth is usually white or some pastel color with white embroidery. traditionally the sari is worn with a matching or contrasting blouse called a choli. 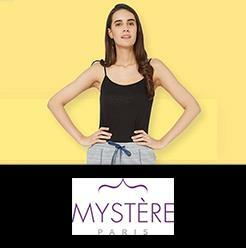 It is a form-fitting top with short sleeves. 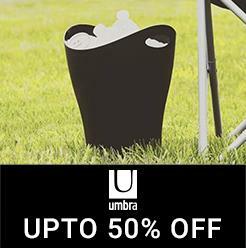 a very lightweight and soft weave that is almost transparent. means "from the home" - a typically patterned sari style from Rajasthan with large zari checks and bandhni tie-dye work in the open areas of the checks. A hand loomed sari takes days to complete and each thread is meticulously and patiently laid against the next in the process. 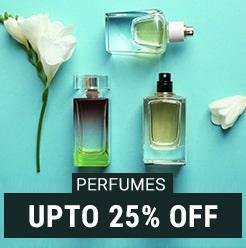 also called bandhna in Orissa. The threads are first dyed in patterns and then strung up on loom so that the patterns emerge as the cloth is woven. a highly ornamented cloth in which the design is incorporated into the weave instead of being printed or dyed on. a style of hand drawing with dyes on cloth. 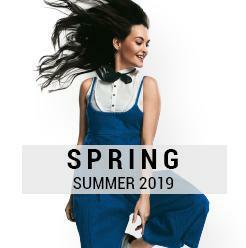 a stable and simple plain weave fabric that is woven from slightly irregular fibers, producing a soft and supple cloth that is absorbent and comfortable in the heat. another word for end piece or anchal, it is the ornamental end piece of the sari. when draping the sari, most of the fabric length is taken up in a series of pleats and then centrally tucked in the petticoat, at the waist. 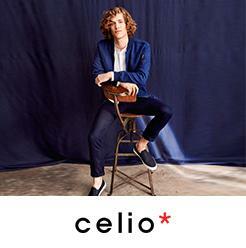 The pleats permit easier walking and give the garment its elegant look. is embroidery done with coloured silk thread. using blocks to print cloth with wax before immersing in the dye. the number of picks or threads per linear inch. 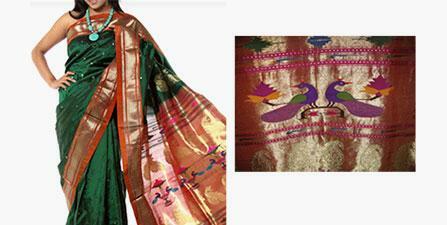 embroidery created by the weaving of different colored threads other than zari. an ancient technique of tying cloth in patterns before dipping it in a dye bath. 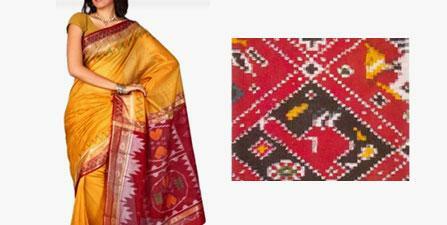 Rajasthan and Gujarat are famous for their brilliant tie-dyes called Bandhni sarees. styles of sarees that are traditional to the village of their origin. 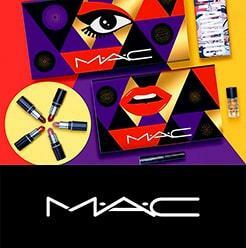 Tribal prints are rough, geometric and bold. 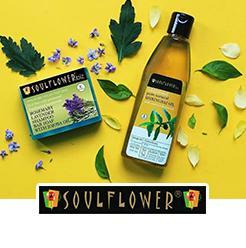 is created from a combination of natural and man-made components, has a silky appearance and feel, and has the ability to breathe in a manner similar to cotton. embroidery that is the glitteringly ornate and heavily encrusted with gold thread work. Zari (or Jari) is a thread traditionally made of fine gold or silver used in traditional Indian garments. 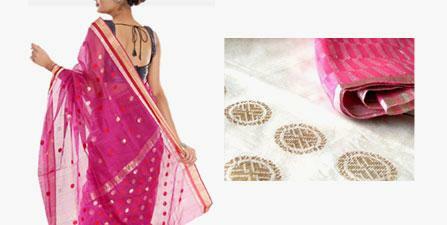 The thread is widely used for weaving and embroidery work especially in high quality sarees.